Inishowen (the Island of Eoghain) is situated on the north western corner of Ireland and lays claim to the title of Ireland's most northernly point at Malin Head. The rugged and spectacular coastline is bounded by the Atlantic Ocean and the two Loughs, Foyle and Swilly, rich in maritime history. 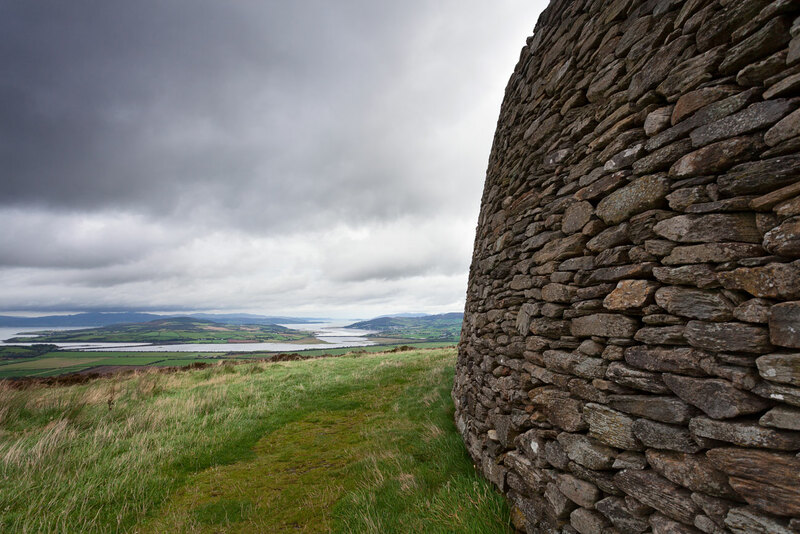 The Grianan of Aileach - an outstanding stone fort with origins dating back to almost 2000 BC. From the 5th to 12th Century AD it served as the royal seat of the Ui Neill dynasty. It offers 360 degree views across Lough Swilly, Lough Foyle and the gorgeous countryside of the Inishowen Peninsula. On a clear day it is believed that the view includes 4 neighbouring counties! Banba's Crown, Malin Head - Ireland's most northernly point with fine views out to Inishtrahull. Experience the full power of the Atlantic Ocean by taking the short walk to 'Hell's Hole', a narrow deep chasm in the sea cliff.